C-Kore subsea measurement tools find faults and prove the health of umbilicals, jumpers, control modules, down-hole sensors (or anything else) without using downlines. The tools save days of vessel time allowing more to be achieved in every offshore campaign. Mobilisation and deployment is simple. The measurement program is automated, dramatically speeding up the testing process and reducing the risk of human error. The tools are not much larger than standard dummy plugs, allowing simple hand-carried mobilisation and easy handling for divers and ROV. C-Kore was designed specifically to speed up and simplify subsea testing and in the process give far more accurate measurement data. It saves days of vessel time and more faults are found in each intervention campaign. Quickly deployed by ROV or diver to run fast automated test programs for substantial vessel time savings. Connect directly to subsea assets. No need to wait for slow platform-led testing or down-line deployment. Easy to operate, specialist personnel not required. Can be pre-programmed by C-Kore Systems or configured in the field. 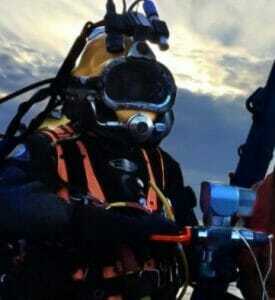 Safe for divers and SCMs. Low-voltage testing will not harm personnel or equipment and does not require permits. We’ve helped customers all over the world improve subsea testing using C-Kore tools and learned a lot along the way. We’re always happy to talk through a testing plan and offer suggestions. 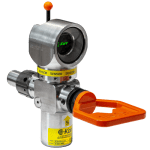 Using C-Kore tools reduces the time needed for testing, along with vessel movement and connector mating cycles. We can help you get the best from our tools on your job and meet your optimisation objectives. From a quick outline to a full procedure, we can help put your subsea testing plan together. If you’re writing your own procedure that’s fine too, there are only a few simple steps to use our tools. When low insulation resistance is reported on the LIM or communication is lost with the subsea asset, the faulty component needs to be identified so it can be repaired or replaced. Use the C-Kore Cable Monitor to test insulation resistance, continuity and capacitance of the subsea network to locate the faulty component. Once the Cable Monitor has narrowed a fault down to a single cable, the C-Kore Subsea TDR is used to precisely locate any discontinuity along the cable’s length. The Subsea TDR data can be used to characterise the type of fault and its precise location, allowing cable repair to be considered. If feedback from a sensor is lost, unreliable or not available, the C-Kore Sensor Monitor can be used to directly read a sensor output. This allows faults to be traced to either the controls, jumper cables or sensor. By knowing which component is faulty, time and money are saved when repairing the asset. Measures insulation (IR) and continuity (CR) to quickly narrow down fault locations to individual components for replacement or repair. Determine the state of existing subsea infrastructure to estimate health if unknown or before first use (e.g. spare umbilicals cores). Precisely locate faults and discontinuities within electrical cables by measuring reflections from electrical pulses. Data can be used to determine repair versus replacement options for cables based on fault location. Check sensors are functioning correctly and read output values. Can be used on well-heads and other field instrumentation. Determine if sensors have failed or if faults reside in cabling or SCM. Prevent unnecessary and expensive sensor change-outs. C-Kore tools overcome the issues of traditional testing. They remove the problems that plague downline based testing, from the slow deployment and dubious reliability of the downlines themselves to the effects of inclement weather on deck-based reading accuracy. Likewise, as C-Kore units are deployed directly by the intervention vessel there is no longer a need to use slow and cumbersome platform-led testing, where intervention vessels are left waiting for a busy platform to find time for their tests. Both approaches can easily add many hours to every test, adding up to days of vessel time. 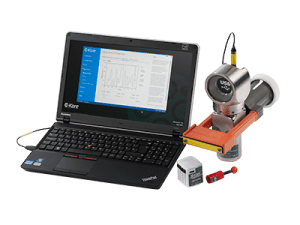 By removing the need to use downlines or platform-led testing, C-Kore tools significantly speed up fault-finding operations and reduce downtime required for fault investigation. 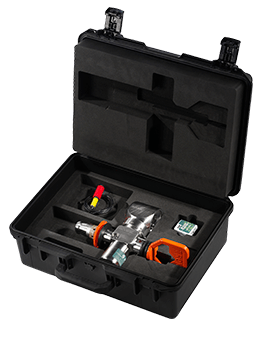 When deployed by ROV, C-Kore units easily fit in the tooling tray for extremely fast deployment. For divers, C-Kore is lightweight and easy to handle. 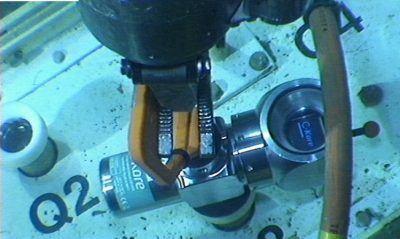 We use an innovative low-voltage testing technique, so divers do not have to retreat during testing and SCMs are safe from damage. Testing itself is also faster than with traditional methods thanks to test automation and data logging. The first step is to talk to us. We have helped many customers configure C-Kore units for their applications and have a wealth of experience to draw on. Commonly, after discussing the field layout and fault-finding strategy we pre-configure the C-Kore units before they leave the factory so all the end user has to do is remove them from the box and deploy. Configuration can still be changed later in the field if needed. Every unit is electrically and hyperbaric tested before dispatch and pre-loaded with configuration data if required. The C-Kore units arrive in small pelican cases, which can be easily hand carried onto the vessel and take very little storage space. Every result is datalogged and the units do not need to be recovered between tests. Continue testing subsea until all faults have been found and there is a convenient point to recover the units. Once all scopes involving C-Kore are complete it’s simple to demob the units. Just place them back in their cases and dispatch via a normal parcel courier, no cranes or haulage required.